DocuSign is a cloud-based electronic signature software that can be used to approve contracts and other business documents online. It allows users to create, save, and share document templates with fillable fields among team members and with identified approvers. We compiled DocuSign user reviews from around the web and determined that it has generally positive ratings. We also shared its available pricing options. Ready to learn more? Visit DocuSign. 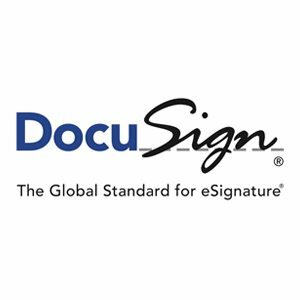 Users who gave DocuSign a positive review said that it is a convenient tool to get documents signed electronically. Several users also like the software’s search function, integration with other systems, and signing functionality on mobile devices. Users who gave DocuSign a negative review said that they sometimes experience technical glitches that prevent them from accessing documents. Several others shared their frustrations over the lack of instructions on how to use the tool’s form builder and document creation features. They added that the software should be further enhanced to allow for more customization. DocuSign offers three paid subscription plans: Personal ($15/user/month), Standard ($40/user/month), and Business Pro ($60/user/month). However, users can save as much as $5 to $20 per month if they pay for a year upfront. The main differences between the plans are the numbers of users and documents for signature. 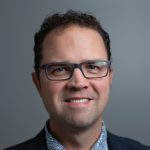 DocuSign also offers customized pricing for users who require advanced enterprise solutions, such as CRM integrations, custom roles and permissions, advanced branding options, and more. Additionally, DocuSign provides pricing plans for their eSignature API tool, as well as their real estate platform designed specifically for realtors. Prices range from $15 to $720/month, depending on the features included. Best Electronic Signature App 2017 – SignNow vs DocuSign vs HelloSign — Looking for an email signature software? In this guide, we identified the features and pricing of three email signature systems. Read on for our comparison and review, including our top recommendations. Best Document Management Software 2018: Google Drive vs. Dropbox vs. Zoho — Choosing the right document management software for your business can be difficult. In this guide, we reviewed the key features of three document management systems to help you in making that decision. Can users try DocuSign for free before purchasing a plan? Yes. DocuSign offers interested users with a 30-day free trial period. Does DocuSign require document approvers to have an account with them? No. Identified approvers can review the document, create an online signature, and complete the signing process without having a DocuSign account. What if business owners require more than one user? Business owners can contact DocuSign’s sales team to discuss their multiple user requirements and request for a customized quotation. This video provides an overall background on how DocuSign can help businesses streamline their document approval process. Not sure if DocuSign is the right fit for you? Read our reviews of the Best Electronic Signature App for comparison. Easy interface! Also walks you through each document to make signing easy. Very easy for others that do not know the software to use as well such as clients. Love that time stamps can be configured to automatically time when they sign it initial. The only issue is I wish they would allow multiple signatures under one email sometimes a husband and wife only use one email. But it’s a great product and great in a industry that needs signatures with times and dates! Nothing much it’s pretty well explained prior to using and easily understood. Docusign makes it easy to customize templates for digital signatures. It’s a fairly simple software to configure and has the ability to convert most documents to PDF. It integrates with most cloud based document storage. For a business that does not have to digitally sign documents very often throughout the year, I wish they had more flexibility on their pricing plans. The free version they had years ago had the ability to sign and send a certain amount of documents/mo. Now they have phased that out, force you to buy a monthly or yearly plan. 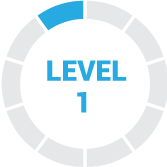 For my business situation I cannot justify their lowest pricing tier as I just don’t use it that much. The software works as it should. Other than the pricing tiers I don’t see any other negatives. 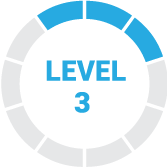 It’s an easy to learn software that is a seamless extension of your business. They make the application easy to access from anywhere while being secure. I wish I had know about their limitations when syncing with other softwares, such as Zenefits. Software works very well. Very quick processing times when documents are sent out. The mobile app could use a little more refining on features that would streamline use for realtors. I didn’t take a lot of time to review the other platforms available to compare. I wish I had have. It makes signing documents easy and easy bye to the arduous task of printing, signing, scanning a document, docusign makes it easy to sign and send it.